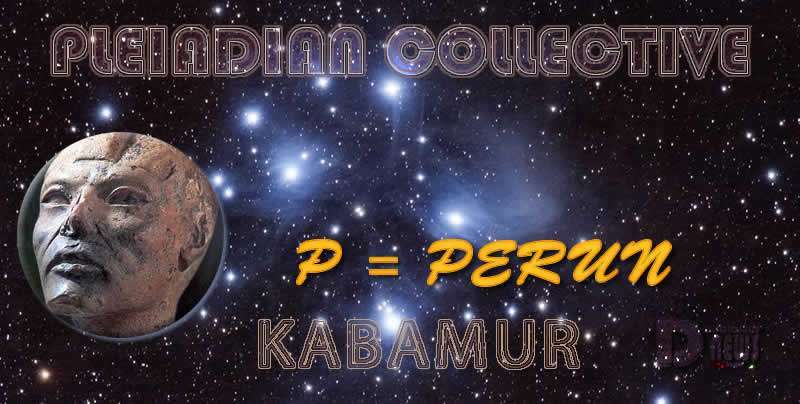 P = Perun (#QAnon) – Akatu – Pleiadian Collective. By Kabamur Taygeta. As Most Intelligent People Of Earth Know, Soros Is As Evil As A Being Can Get! He Was Not Always This Way For All Have Free Will And The Ability To Make Choices Moment By Moment. His Greed And Power Led Him Into Darkness. Soros is Leader of the Cabal – doesn’t serve the POPE, PAYSEURS, or ‘PINDAR’. Connections to THOR from Norse Myth. “Son” of ODIN, War God w/ One Eye. He Hides Behind A Mask Of Wanting To Help, When In Truth He Is A Dark Destroyer And Pure Evil. He Communes With Beings Seen And Unseen. He Drinks Blood And Offers Human Sacrifices. This Will Seem Impossible To Some Minds And We Do Not Wish To Cause Harm Or Fear. But Look At Your World And See The Evil. 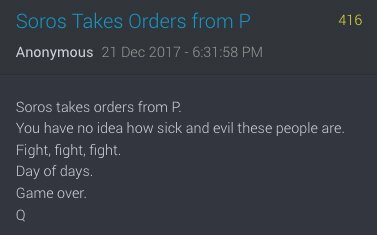 Q Is Here To Lead And Ask Questions To Allow You To Know You Already Carry The Truth! Pleiadians Do Not Change Circumstances For You, But Rather Show You The Path And Encourage You Always! This Evil Being Which We Consider The Soros Beast To Be, Follows An Entity Called Perun Who Is Known To Be A Slavic god. This god Was First Associated With Death, Weapons And Darkness. In Your World You Most Likely Have Never Heard Of These Things, But In The Seen And Unseen Worlds There Have Always Been Controllers. These Are Powerful Deities Of Darkness That Still Control Human Form. Remember The Body Form Is Only The Projected Consciousness That Holds The Intention Of The Being. Soros Takes His Orders From Perun. Because This Entity Is Non-Physical, It Can’t Be Captured Or Killed. The Answer For Mankind Over Evil Is Choice. You Do Not Need To Ever Fear. Choose Your Intention For The Good Of All. You Must Know That Love Has The Highest Vibrational Frequency. This Is How You Prevail And Defeat Darkness! In Truth, No Weapons Are Needed! No Power Is Called For To Ever Destroy Darkness! Choose Love And Spread The Truth Of Those Such As Soros! You Have All Within To Stop All Of The Destruction And Lies! Be At Peace And With Great Love! Place A Shield Of White Light Around Your Being With Thought! Have The Intention Of Freedom And It Is Yours!